When it comes to places to see the Great Smoky Mountains there are plenty of options. You can drive up to Newfound Gap, walk up to Clingman’s Dome or even take the hike to LeConte Lodge. Now after decades of waiting, people are getting to see this land of natural wonders from vantage points few people have seen before. For decades a stretch of the Foothills Parkway about a mile and a half long remained incomplete, leaving about 16 miles of the parkway inaccessible to the public. Now thanks to a mix of engineering and funding, this “missing link” is finished and people now have access to the entire stretch between Wears Valley (near Pigeon Forge) and Walland (near Townsend). When you get on the parkway in Wears Valley, you quickly realize this drive is going to be special. Just a short distance from the signature “Foothills Parkway” entrance sign you reach one of the first places to pull off the road. While there isn’t a dramatic view from this spot, it does allow you to get up close to one of the beautiful new bridges that make the “missing link” not only a fun road to drive, but also an aesthetically pleasing one. The first major overlook gives you an astounding view of the community of Wears Valley and the peaks of the Smoky Mountains. 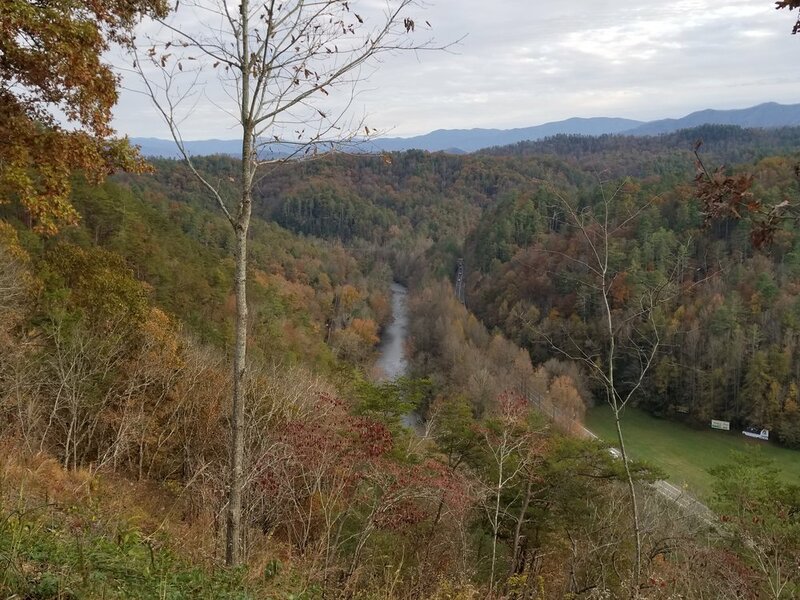 And while the views of the Smokies from the valley floor are outstanding, the view from the overlook brings the beauty of the area to new levels. From the Wears Valley Overlook the parkway continues to climb in elevation and in many ways begins to rival the Blue Ridge Parkway when it comes to engineering feats and breathtaking views. For people familiar with the Blue Ridge Parkway, you’ve probably heard of the Linn Cove Viaduct near Boone, NC. Well, the same construction style was applied to this section of the Foothills Parkway. At times, the drive has you feeling like you’re flying. Come in for a landing at the top where you’ll have to park on one side, then make your way across the road for one of the best views anywhere in the Smoky Mountains (and that’s not an easy distinction to make). For many years, people like me have waited in anticipation for this stretch to open as we could see the parkway along the ridge take shape. The panoramic view of Townsend and “the peaceful side of the Smokies” is unforgettable. From this spot, the descent down to Walland doesn’t disappoint. Eventually you come to the last overlook on this section of the parkway. This vantage point sits high above US 321 and the Little River. You can stand here and watch the cars traveling to and from Townsend or just listen to the sounds of the Little River rushing out of the Great Smoky Mountains. The Foothills Parkway runs along the top of Chilhowee Mountain providing amazing views of the valley and the Smoky Mountains. Eventually you’ll come to the end of the newly opened section, but there’s still plenty of the Foothills Parkway left to travel. 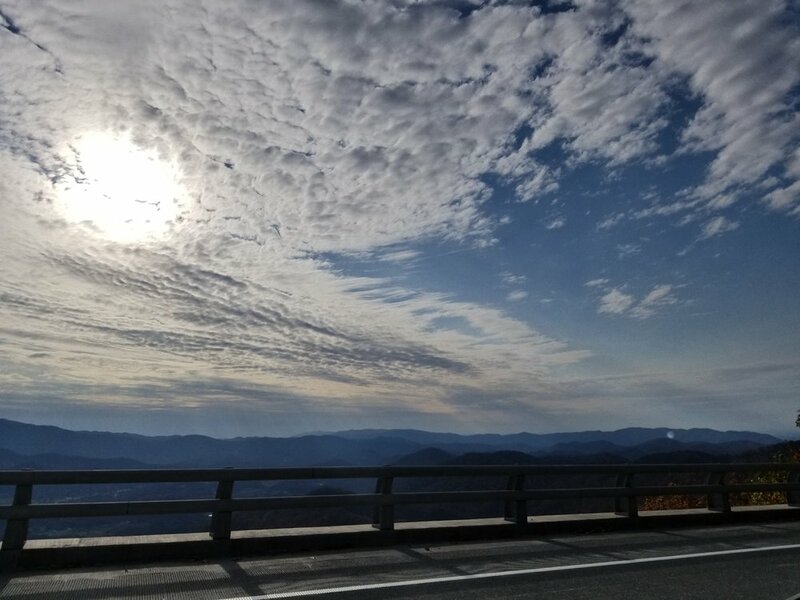 Keep going to take this scenic drive up Chilhowee Mountain and over to Chilhowee Lake and US 129 (The Tail of the Dragon). 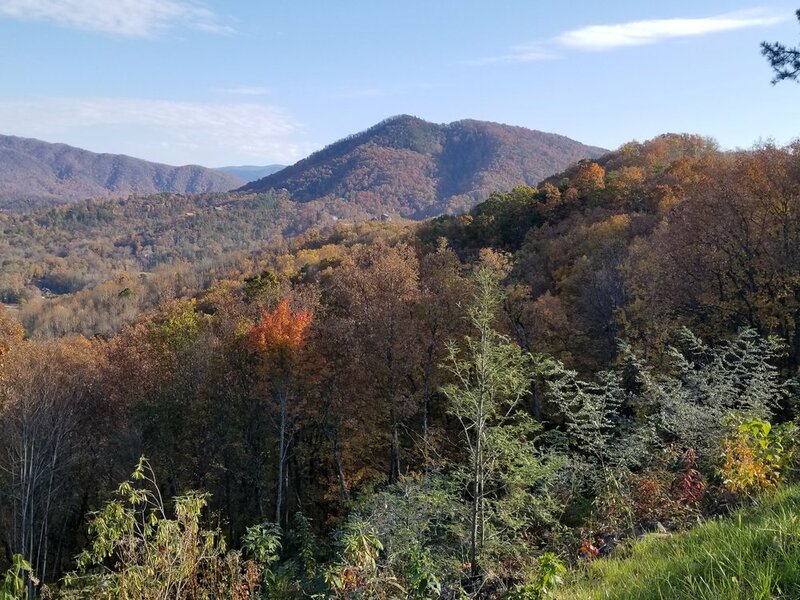 This stretch has incredible views of the Tennessee Valley, the Smoky Mountains and access to the Look Rock observation tower (just a short hike up to the crest of the mountain from the parking lot). Another stretch of the Foothills Parkway can be found over in Cosby where it runs 6 miles when it ends at Interstate 40. So, even though the “missing link” has opened, there’s still miles of planned parkway where construction hasn’t even started, so who knows, a couple of decades from now, we might finally see the entire 72 miles of the Foothills Parkway become a reality.